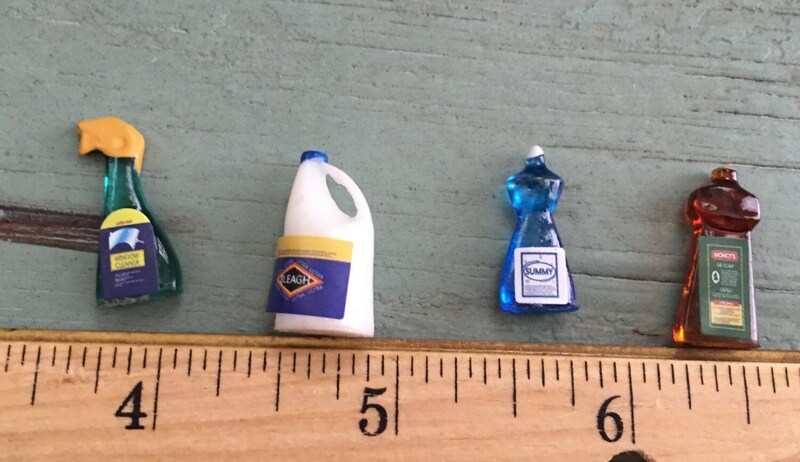 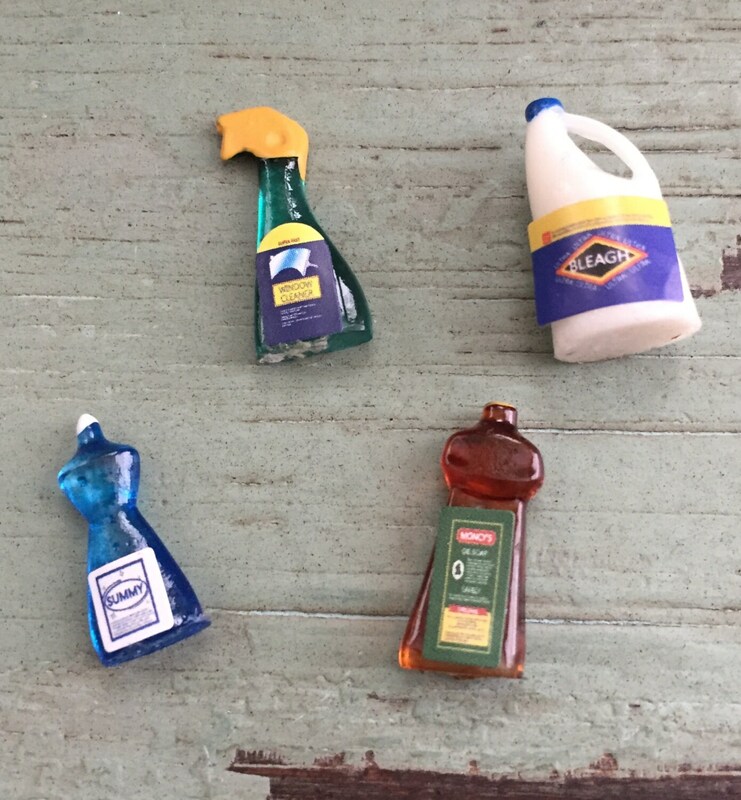 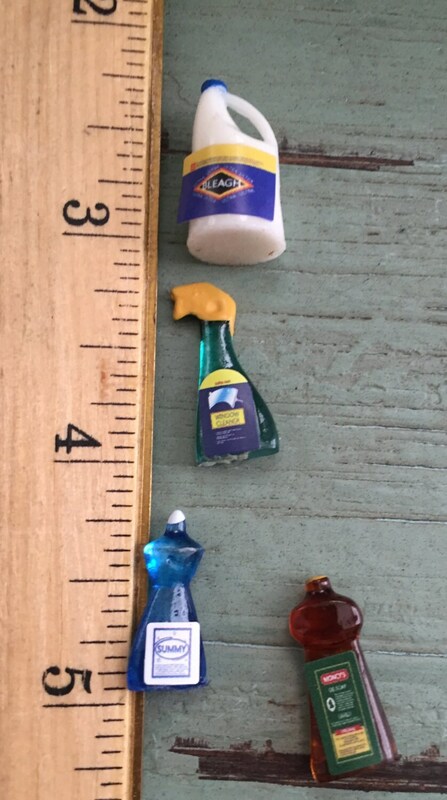 Miniature Cleaning Supply Bottles/Containers. 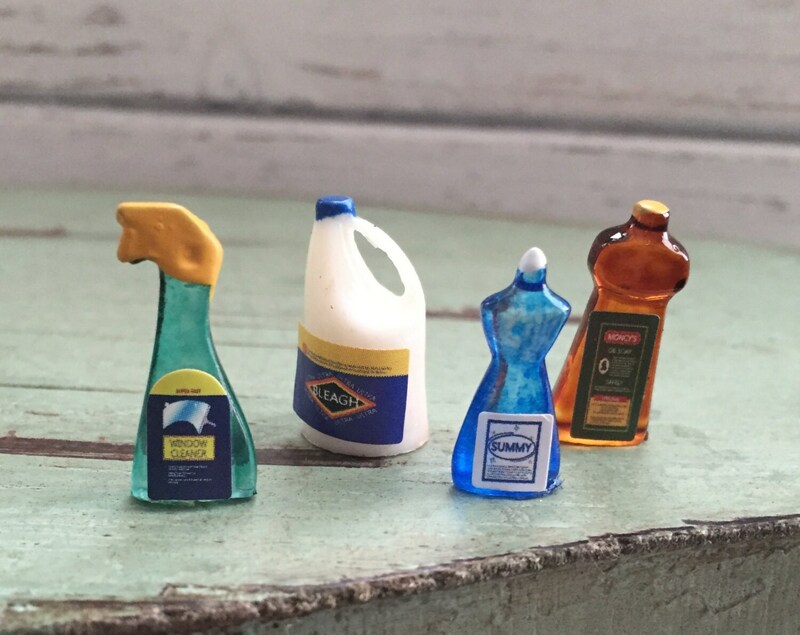 Perfect for dollhouse, shadow boxes, dioramas, crafts, etc. 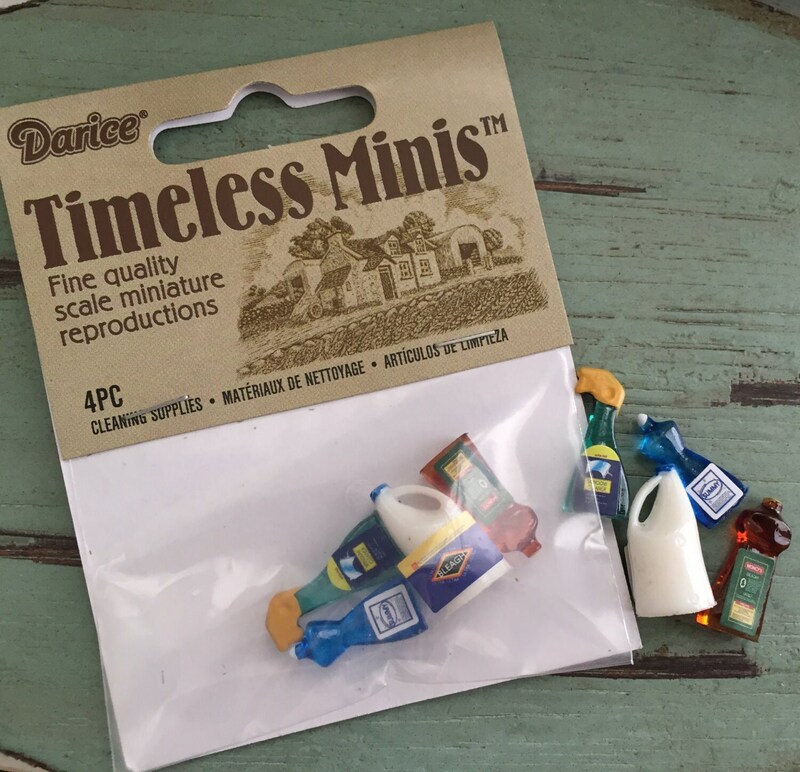 Listing includes 1 package of 4 pieces as shown.